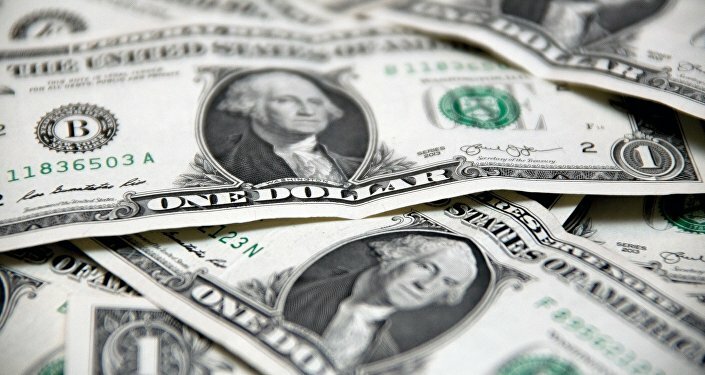 It seems that dumping the US dollar remains one of the key tasks of Tehran's international trading partners, which are eager to preserve economic cooperation with the Islamic Republic amid Washington's sanctions against Iran. Russian Foreign Minister Sergei Lavrov has described the US dollar as a lever of pressure, which he said Washington uses when it "wants to punish someone." "Washington immediately stops servicing any banking operations in dollars in relation to both the country that they want to punish and also all those who have some kind of relationship with it," Lavrov emphasized in an interview with Russian television. He added in this context that "for decades, everyone hoped that the United States would scrupulously fulfill its duties as the issuer of the world's main reserve currency." His remarks came after Geert Bourgeois, Minister-President of Belgium's Flanders Region, blamed Washington for using the dollar as a weapon to punish countries and pledged that the European Investment Bank will back investment in Iran amid Brussels' efforts to boost the EU's "blocking statute" to contain the anti-Iranian US sanctions. In mid-August, Russian Finance Minister Anton Siluanov pointed out that "the dollar, which is considered to be the international currency, becomes a risky tool for payments." In this vein, he did not rule out the possibility of the countries using national currencies instead of the dollar in the oil market. Controversies around the dollar have been stirred up by a major financial spat between the US and Turkey, which was preceded by President Donald Trump's announcement that Washington will double tariffs on steel and aluminum imports from Turkey. READ MORE: Operation Dollar Dump: Can Turkey Rely on the Lira in International Trade? The exchange rate of the Turkish lira then reached an all-time low, collapsing by more than 16 percent in US dollar terms. President Recep Tayyip Erdogan called the lira's tumble a "currency plot" and announced Ankara's readiness to refuse the dollar in the country's trade with its partners. The developments came as Turkey, Iran, China and Russia are increasingly settling their payments in each other's currencies, while Tehran is turning to gold as a viable alternative to the dollar. On May 8, President Trump announced Washington's withdrawal from the 2015 Iran nuclear deal, also threatening to reinstate "the hardest ever" sanctions against Iran and threatening to also sanction all those European companies which continue to cooperate with the Islamic Republic.